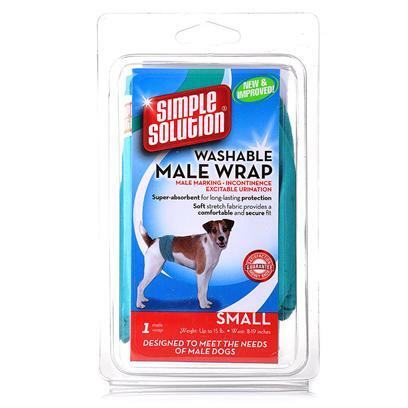 The perfect solution for pets experiencing excitable urination, incontinence, male marking or for puppies that are not yet housetrained. Each garment is lined with a soft plaid flannel fabric for comfort as well as an absorbent mesh liner for protection against leakage. Male Diaper Garment Wraps come in four convenient sizes - Small, Medium, Large and X-Large.